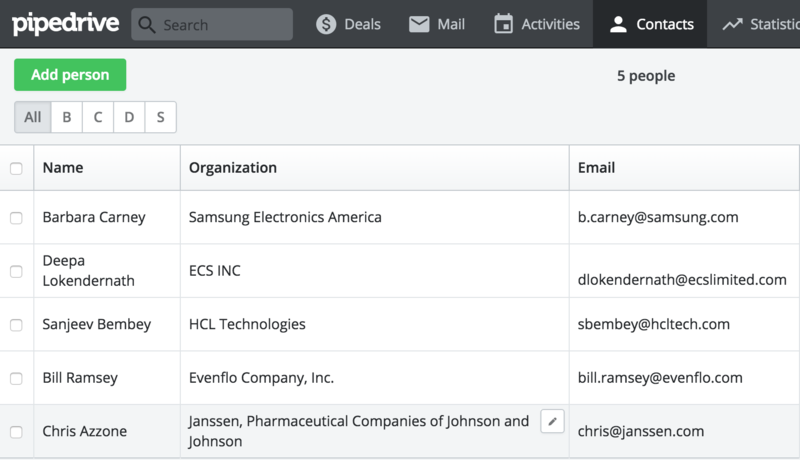 Hunter can be integrated with your Pipedrive account to quickly export new generated leads. To get started simply go to the "Leads" section of your account. Click the “+” icon in the Connected Apps section. Enter your Pipedrive API key in the text box. 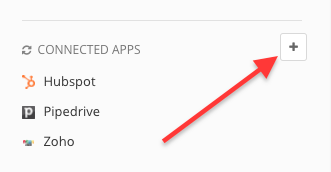 You’ll find your personal API token in the API inside the Settings->Personal->API section of Pipedrive. Now you’ll see Pipedrive in the “Connected Applications”. Add new leads to your list. Log in to your Pipedrive account and select the People section inside Contacts. There you’ll see all the leads previously created on Hunter.